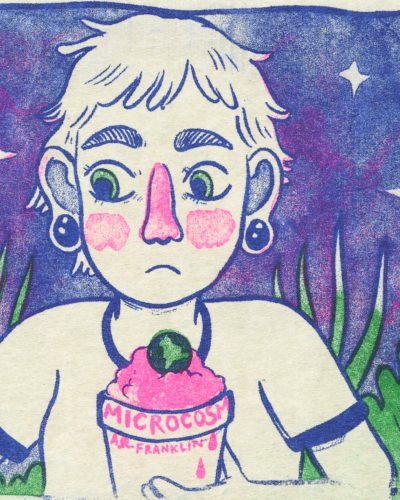 The magic of pizza found in the trash! 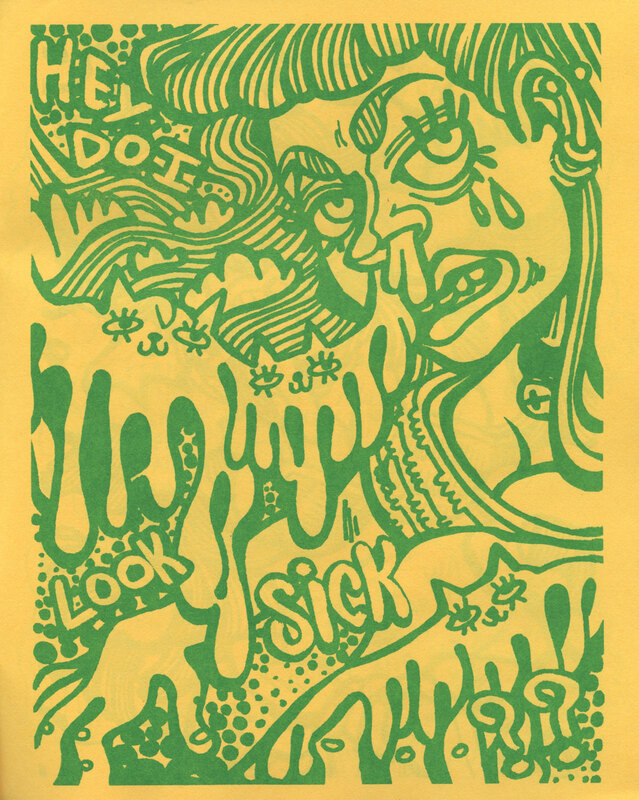 Categories: minicomics, zines. 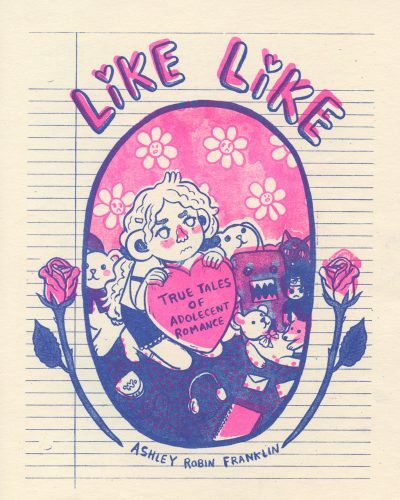 Genres: Anthology, Art & Design, Fantasy, Humor. 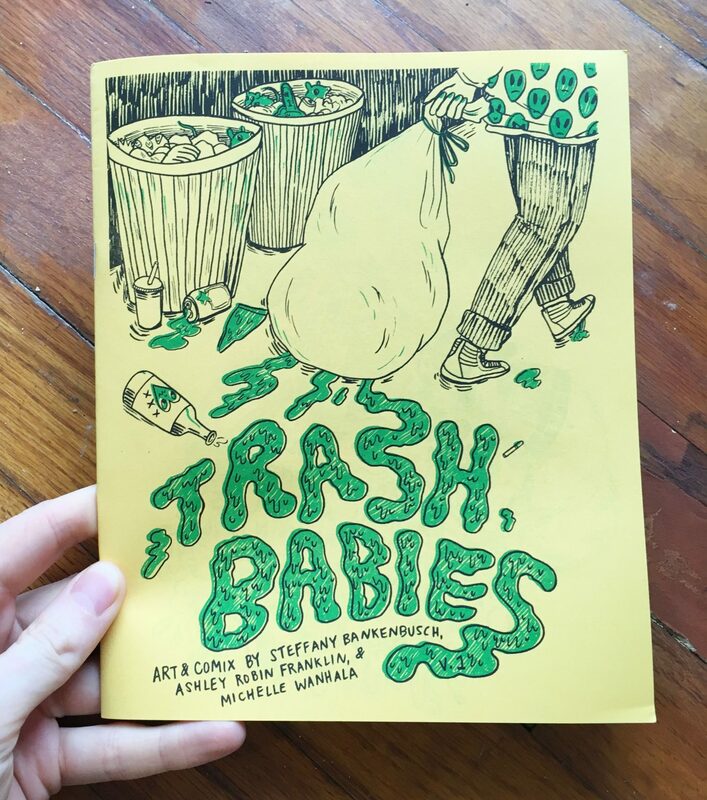 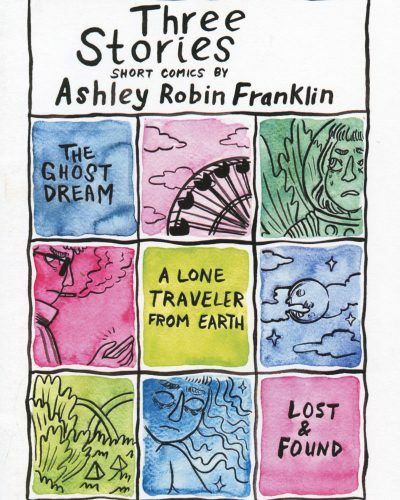 Trash Babies is an irreverent collection of charming gross-out comics and art by Ashley Robin Franklin, Steffany Bankenbusch, and Michelle Wanhala! This issue features a repeating theme of finding pizza in the trash. 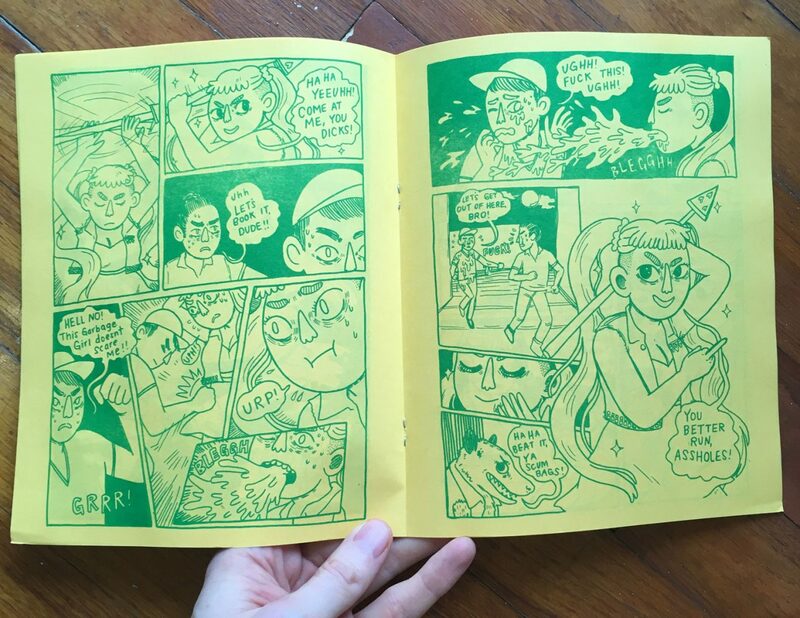 In Michelle’s comic, we meet a raccoon that falls in love with a slice of pizza and must choose between true love or a delicious meal. 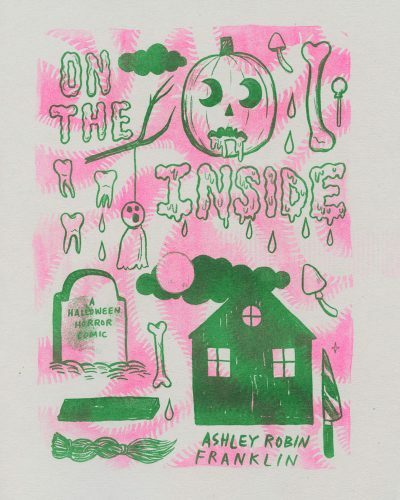 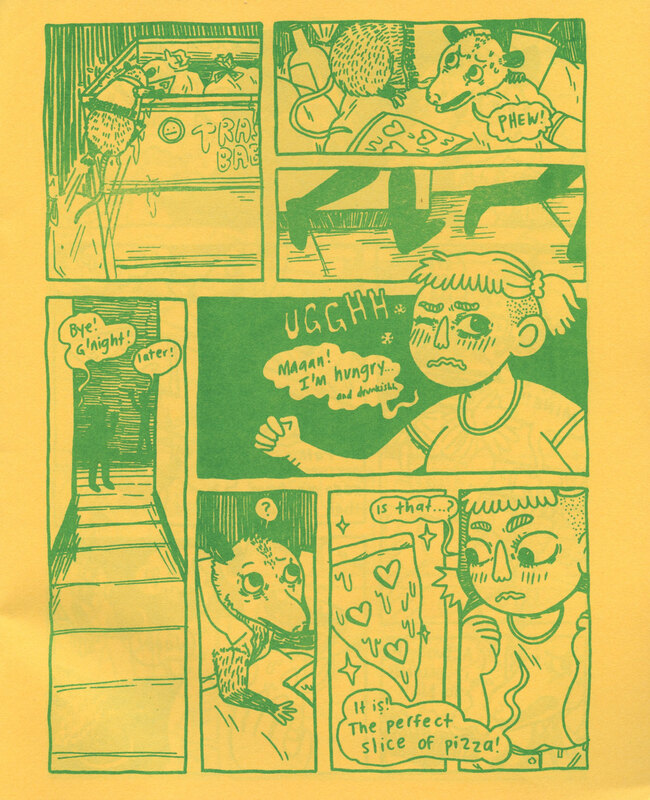 In Ashley’s comic, a young woman finds a possum in a dumpster. 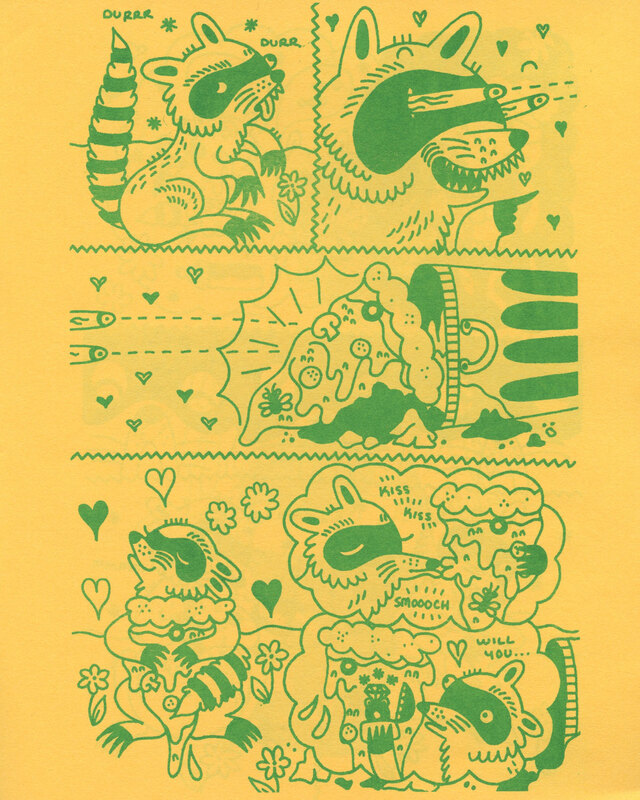 The possum has a magical slice of pizza that imbues the woman with super powers! 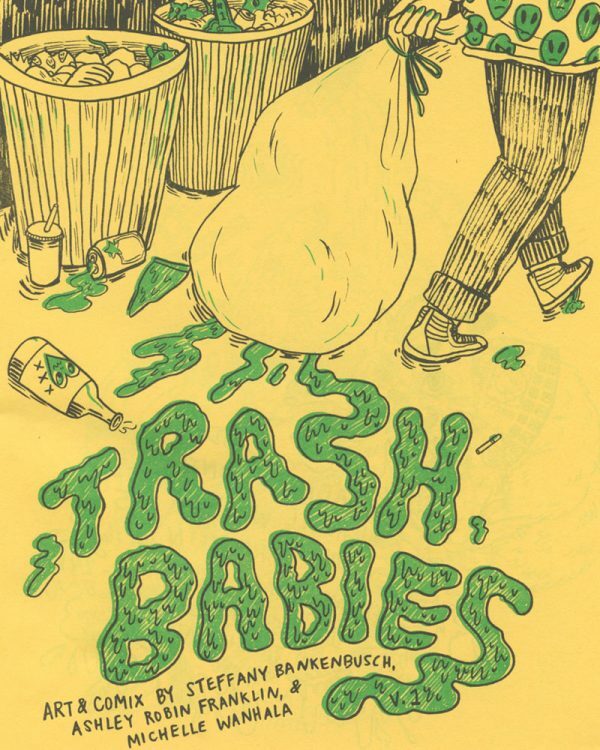 These two fun comics are surrounded by equally fun trash-themed illustrations!